by Josh Gaventa, Rosh Madrich. Parashat Vayera is packed full of stories worth dealing with. There is the story of the three angels visiting Avraham after his Brit Milah, the story of how Yitzchak was born, the dramatic events in Sodom and finally the heart-wrenching story of Akeidat Yitzchak. One of the key themes of the Parasha is hospitality. We read how Avraham exemplified Jewish hospitality to his three guests and we read of how Sodom treated their guests with suspicion and eventually drove them out from amongst them. The fear of the ‘other’ is perhaps one of the most destructive forces in today’s world and these stories could teach us a great deal about the unconditional love, or at least respect for the ‘other’. However, I would like to focus on a different story entirely. The story of Hagar and Ishmael’s banishment from Avraham’s camp is for me, very troubling. Avraham, the paragon of Ahavat Chessed, a loving-kindness and of Emunah – faith, decides to banish an innocent woman and child from his home; leaving them to the wilderness. How could this be? This question notwithstanding, I think another message can be learnt from this story. During the eleven Pesukim that the Torah gives to the story, Hagar casts off her son under a tree so that she doesn’t have to see him die. Then an angel calls to her and tells her not to worry because God has decided to help her, and the angel reveals a well for them both to drink from. The story levels off shortly after the child has grown up and we learn that God was ‘with him’. I would like to highlight this story and present to you an educational message which lies within. If we imagined that Hagar was a teacher or a Madricha, we would find that Hagar makes a fundamental educational error, and is then given a vital lesson in education from an angel. The error she makes is despair. She despairs that the death of her child is inevitable and she gives up hope in him. This is part one of her mistake. An educator can never give up on their students. Hagar then places a distance between them so that she doesn’t have to see his death. This is part two of her mistake. Even if education becomes difficult and challenges arise, an educator can never deliberately place distance between themselves and their students. The angel responds to Hagar’s misery by giving her the tools she needs to heal her child. In our analogy, the angel has given her the perfect lesson plan for her troublesome students but it comes with an additional element which I think is vitally important. The angel commands her to first “lift up the youth and grasp your hand upon him.” (Gen 21:18) The angel tells her to recover her faith in the child before she heals him. In our analogy, the angel tells Hagar to rediscover her passion for teaching before she can give the perfect lesson. At Sinai Youth we believe that when we educate, it is not enough for us to have the right amount of knowledge or experience so that we can get the child from A to B, or often from B to A, but it is the mind-set we approach children with which is key. To quote W B Yeats: “Education is not the filling of a pail, but the lighting of a fire.” Our students and Chanichim must be as giants in our eyes, not as grasshoppers. 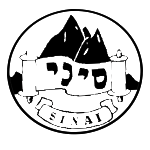 At Sinai we believe that all our chanichim have the potential to achieve and to develop their knowledge and interest given the right tools. Further, once we have raised up the child in our eyes, we then can “place our hand upon him.” In our analogy, we must approach the child with love and joy, to metaphorically, hold their hand and offer support. Hagar taught us that despair is natural, nobody would begrudge her that, but the angel taught us that after despair comes hope, and from hope comes love and with that we can set about educating our Chanichim to rise to their challenges with a sense of hope and joy.